Some 10,000 people from around the world applied for a job as a professional human paintball target in Britain. UK Paintball said it was astonished by the number of applicants for the role, which pays £40,000 (approximately $61,000 U.S.) per annum. The company said that applicants had been attracted from as far away as the U.S., Canada and India. The job advert on the company’s website says that for those with a “relatively high pain threshold” then “this might just be the opportunity for you”. It goes on: “Here at UKPaintball.co.uk we are currently looking for someone to join the team and become our official ‘bullet tester’. “The job will essentially involve being shot at with every new batch of paint bullets to ensure that all health and safety checks are in place, before we can use them on the general public and paying customers. Toohig said that applicants had given a range of reasons why they were suited for the role. “We’ve had individuals hoping to secure the job including an ex-Army soldier boasting previous experience of guns and weaponry, a paintballing enthusiast who has indulged in his hobby all around the world, and an ex-magician’s assistant who was once almost shot for real in an illusion that went horribly wrong,” he said. 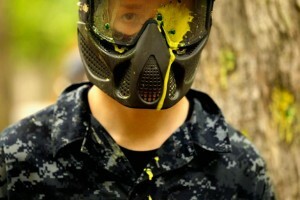 Paintball has really grown so wide. I am happy I belong with this kind of sport. Cant hold to be proud. © Copyright 2015 Alpha Sports Inc. All Rights Reserved.